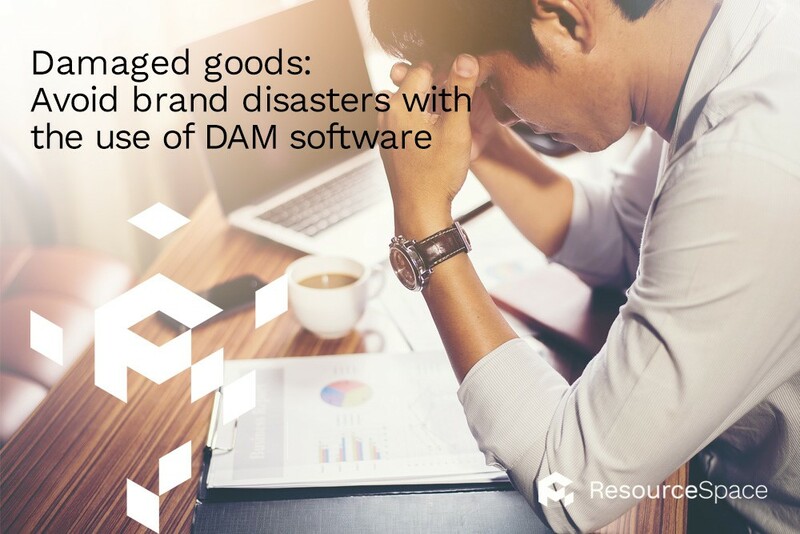 While we can't guard you against poor errors in judgement, or delivering substandard goods or services, providers of Digital Asset Management (DAM) software can protect against some forms of damage that you may unwittingly inflict upon your brand. Check out our run-down of these six ways in which brand asset management software may save your brand's bacon. The brightest minds of your marketing huddle know how your brand should be perceived, and have the company tone of voice and its public image embedded into their every move, but does everyone else? While your creative gurus are working hard to manage how others view your company, not all members of the organisation may be aware of the messages you're attempting to put out, or understand the importance of everyone portraying a unified approach to brand strategy and image. Within a central DAM system that is available to all workers, you can issue guidelines, instructions and documentation that makes sure everyone is up to speed with what to do, and what not to do when it comes to representing the business, and to allow everyone to connect with what's being produced, worked on and put out into the world. #2. Know exactly what's being used… and by who. When you've put together a winning marketing campaign or brand strategy, you need to be sure that it's being executed with the correct assets, and not being undermined by the use of differing, out of date, or incorrect versions. With DAM, you can tightly control the use of only the assets that are approved and relevant, and carefully restrict and monitor their implementation to keep your brand vision and execution intact. Accidents happen, especially when systems are unorganised or archaic. Have an image that has expired and mustn't be published? Need to use different content for different territories, or have material that may cause offence amongst certain markets or audiences? If only you could stop an unsuspecting colleague from pressing the publish button! Possessing a professional DAM system will allow you to make the most of metadata, ascribing specific labels and notes to each item you produce. You'll be able to provide full and relevant information for each piece of content, ensuring that assets are correctly credited and attributed whenever published, and that certain instructions for use are followed. These handy advance nuggets of wisdom (or warnings!) should help avoid potential controversies, crediting errors and licensing management issues. In order to create goodwill and loyalty from their existing customers and potential clients, many organisations are turning to content and online storytelling. By providing behind the scenes insights, or giving informative instruction, brands are producing more blog posts, images, videos and branded content than ever before. And as quickly as it is consumed by a digitally savvy audience, the next assets need to be produced, meaning that your creative team can quickly find themselves swamped with a mass of never-ending content. A professional DAM solution is the most appropriate way to efficiently manage the large volume of rich media your marketing team is generating… allowing you to keep giving useful content to your fans and to keep that brand loyalty growing. After all, you'll need the forgiveness and generosity of your followers if your brand messes up at some point. Has a major error affected your operations and your ability to serve customers? Someone senior said something they shouldn't have? Although we do our best to avoid brand disasters, business failures and regrettable moments do happen - and when that time comes, you need to be ready to troubleshoot the problem at hand and go into damage limitation mode for your brand. This means having immediate access to the assets you need to firefight the issue, whether it's a document you need to produce a new press release, or putting out content to counteract a negative portrayal. A DAM system gives you the peace of mind of knowing that whatever happens, you always have your archive of strongest work to hand. And it's not just for when disaster strikes - having the ability to promptly source assets means that you can take advantage of more marketing opportunities as and when you spot them, respond to last minute requests and meet more deadlines, and keep up with changes in the market and trends in real time. Confusing marketing messages can leave customers with a conflicted, or completely wrong, opinion of your brand. To make sure everyone is on the same page, DAM allows you to create standardised templates for content that all team members have access to, such as logos, headers and documents. There's no room for creativity outside of your creative team, so a DAM storage solution will prevent the random leaking of inconsistent branding, and keep your brand… on brand. Is your asset management a disaster? Let ResourceSpace be your digital hero. While you're busy putting out brand fires and keeping everyone up to date with what they can and cannot say, use or do, let us handle your professional digital asset management. To see how an organised and secure asset management system can help your marketing department to reduce the risks of brand disasters, start your free trial of ResourceSpace today. To talk to the team further about DAM's place in brand perception and content marketing, simply get in touch.